Severe arm morbidity is less common than it once was with a movement toward sentinel lymph node biopsy (SLNB) and away from axillary lymph node dissection (ALND), which can cause extensive swelling in the arm due to surgery to remove lymph nodes (lymphedema). The rate of lymphedema is about 20% and the rate of shoulder impairment can be as high as 28% as late effects following axillary surgery. However, these problems have not been studied specifically in younger women. To assess the incidence of arm morbidity associated with ALND and SLNB, Dr Kuijer and colleagues examined 10 years of reports (2006-2016) from 1302 women aged ≤40 years who were enrolled in the Young Women’s Breast Cancer Study. Fifty-five percent of the women had undergone an SLNB only and 41% had undergone ALND. In 4% of patients, no axillary surgery was performed. The investigators examined the incidence of patient-reported arm swelling or decreased range of motion 1 year after diagnosis. Overall, 13% reported arm swelling and 40% reported decreased range of motion in the ipsilateral arm—the arm on the same side as the breast tumor—1 year after their breast cancer diagnosis. Among the patients who were treated with breast-conserving surgery, the incidence of arm swelling 1 year after diagnosis was 6% in patients who underwent SLNB and 24% in those who received ALND. For patients who underwent unilateral or bilateral mastectomy, the incidence of arm swelling was 6% in the SLNB group and 23% in the ALND group. Among the women who underwent breast-conserving surgery, the rate of decreased range of motion in the ipsilateral arm was 32% and 36% in patients who underwent SLNB or ALND, respectively. Among those who underwent unilateral or bilateral mastectomy with SLNB or ALND, these rates were 28% and 44%, respectively. Certain patient factors were associated with greater risk of arm morbidity. For example, being overweight at the time of diagnosis increased the risk for arm swelling and decreased range of motion. In addition, women who described themselves as financially comfortable were less likely to develop arm swelling. Dr Kuijer said that because the study included women who were treated at large cancer centers in the Northeast, and thus were likely to have a high socioeconomic status, the incidence of arm morbidity may be even higher in the general population. The findings highlight the importance of de-escalating axillary treatment when appropriate in young patients with breast cancer, and illustrates that even conservative surgery has long-lasting effects. “Women should be encouraged to talk to their doctors about all of their options for surgery and the expected outcomes,” Dr Kuijer concluded. Kuijer A, Dominici LS, Rosenberg SM, et al. 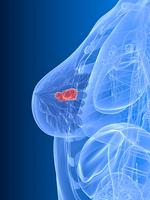 Risk of arm morbidity after local therapy in young breast cancer survivors. Presented at: 2017 San Antonio Breast Cancer Symposium; December 5-9, 2017. Abstract GS5-03.